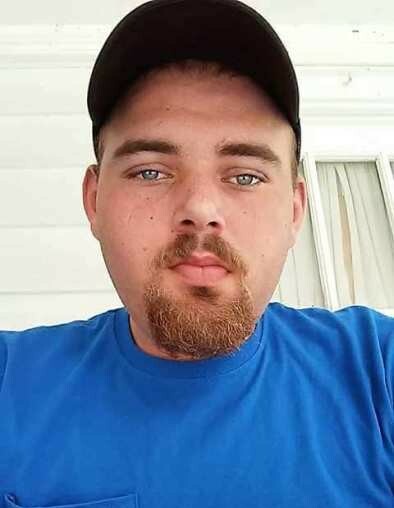 George Glendon Clark, Jr., age 23 of Laurinburg passed away Thursday, October 25, 2018. Funeral services will be at 3:00 p.m. Sunday, October 28, 2018 at Spring Hill Wesleyan Church with burial following in the church cemetery. George was born August 20, 1995 in Richmond County, the son of Melissa Prevatte and George Glendon Clark, Sr. He worked for Hanes Manufacturing and was a member of Spring Hill Wesleyan Church in Hamlet. In his leisure time he enjoyed fishing, music and hanging out with his friends. He leaves behind his mother, Melissa Ann Prevatte (Wade Chavis) of Laurinburg; brother, Timothy Curry and sisters, Kellie Driggers and Kandida Chavis; his grandparents, Sarah Tharpe and Thomas Tharpe of Hamlet and Elizabeth Johnson. He is also survived by a host of loving family and many friends. The family will receive friends from 6:00 until 8:00 p.m. on Saturday, October 27, 2018 at Richard Boles Funeral Service.